So as promised in my last post I was going to share with you a great trading tool that I have been using for a while, and I must say so far I am quite impressed. This trading tool not only helps me to quickly identify whether a particular forex pair is trending but it also helps me to objectively pick a sweet entry point to get in. The system or tool that I have been using to assist with my forex trend trading is called Andrew’s Forex System. The creator of the system is Andrew Sarraf. What I love most about this system is that it fits my particular trading style and my particular trading preference to a tee. First of all the Andrew’s Forex System uses the 4 hour charts to identify potential trade setups. If you have been following my blog you will know that I am a big fan of trading from the daily and 4 hour charts. I believe these higher time frame charts provide the most “stress free” form of trading, are the least time intensive, and ultimately the most profitable. If you check out Andrew’s Forex System (links above) you will see that he recommends using the indicators on the 4 hour charts. 4 Hour charts are great because in my opinion they provide a great balance between frequency of trade entry opportunities and reliability of the entry signals. On his sales page Mr. Sarraf points out that Andrew’s Forex System is great because it is reliable, consistent, provides a system for people with very little time to analyze or sit in front of their charts every day. I have been using Andrew’s Forex System for quite a while now and I would have to say that I agree with all of these claims so far. Now you and I both know there is no such thing as a “holy grail” forex system. There is no system on the planet that is going to give you 100% profitable signals, and anyone who tells you otherwise is lying. But so far I have found that when used properly, the signals that this system is providing fairly consistent winners, and the system is profitable especially when using a 1:2 or more risk vs. reward target. The other part of his sales page that I would agree with is that the system is fantastic if you don’t have a ton of spare time. Let’s face it, most of us our very busy. Most of us don’t have the luxury of spending hours per day analyzing our charts and placing trades. Personally, using the Andrew’s Forex System indicators I am only spending 20 – 30 minutes per day tops. I usually check my charts quickly in the morning before I am off to start my day, and again in the evening after supper. You see this system is basically identifying stable trends on a forex currency pairs that have been in place for 3 weeks or more. The system also helps you identify the “sweet spot” to enter with the trend after there has been a small retracement. The system provides an objective non-repainting signal to identify the optimal entry point. In turn this provides the best chances of a high probability and good risk vs. reward entry point. Not only does Andrew’s Forex System provide you with your optimal entry points, the Pdf manual provided with the system, offers suggestions on optimal stop loss placement and take profit levels. Generally I have been using a 1:2 risk vs. reward so that even if only 50% of my trades are successful I am in profit over the long term. In my next review post for Andrew’s Forex System I plan to post my own video showing a live trade example. But I thought for now I would share with you a nice video review by AtradingPlan.Com below. I think they also do a pretty nice job of highlighting the strengths of this system. As with any system you cannot just blindly take any and all signals generated by the system. You will still need to use a bit of common sense, and that device between your ears to avoid low probability set ups. But having said that I honestly believe the Andrew’s Forex System offers a great low cost strategy to trade with the trend. So far I have found that when his system is used properly it has been profitable and fairly reliable. I would definitely recommend aiming for at least a 1:2 risk vs. reward, and with the trend on your side you will find that price will often hit your TP level! You just need a bit of patience. Well that’s about it for Part I of my review of Andrew’s Forex System. If you are looking for a nice way to make steady consistent gains in the Forex market I would strongly recommend you give this one a look: Andrew’s Forex System. You can Check out Part II of my Andrew’s Forex System Review by clicking here. Forex Trend Trading: Where it’s at! Hello all! Firstly let me apologize for my lengthy absence. I have simply just had too many irons in the fire over the last couple of months, and my “baby”, this blog has suffered as a result. But I am back on track and plan to continue providing consistent great forex tips and content. As you all know I am a big fan of both price action trading and trading with the trend. “The Trend is Your Friend”, we have all heard this saying over and over, because it is true! Traders often try to over complicate their trading. I liken trading with the trend to swimming down a river with the current. 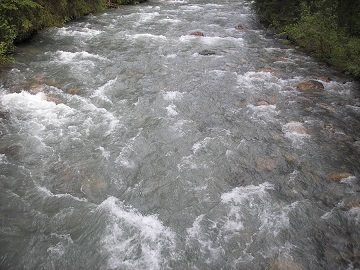 It is infinitely easier to swim with the current then trying to swim against the current, wouldn’t you agree? Most often when traders try to trade against a predominant trend, and or are trying to pick tops and bottoms, they end of getting “run over” by the market, and have their stop losses hit. Trading with the trend is one of the simplest ways you can greatly increase your chances of success on any particular trade. When I speak about trend trading, I am not talking about a trend on the 1 minute or 5 minute chart either. I am talking about a clear definable trend visible on the daily or 4 hour charts. All this talk about trend trading is going to lead us nicely in to an exciting post I have planned for next time. I am going to provide a review on a great forex tool that I have been using to help me simply spot an existing trend and also helps me in an objective manner pick my entry point. I really have been loving this tool so far and want to share this with you next time. Again I hope you have enjoyed this post and if so please comment, share and like! Study the long term trends in the Forex market. While there is always a chance of a big shakeup in currency values, for the most part the long term trends are steady. If you are wondering whether to get out of a market or not, learn what the trend is for that currency and use that as a guide. Learn when to cut your losses. Decide how much you are prepared to potentially lose, and get out as soon as you reach that point. Don’t spend any time hoping the situation will turn around: the chances are it will only get worse. You will always have the opportunity to recoup your losses with another trade. A great forex trading tip is to not get too attached to one pair of currency. The market is constantly changing and if you’re only standing by one pair of currency, you’re missing out on a lot of opportunities. It’s better to diversify a little bit and buy or sell, depending on the trends. Never be misled by any profit gains in Forex. This is the number-one way traders end up losing their money and ultimately failing. Remember that the same things that make you laugh can make you cry in this market, and you can lose that $700 in the exact same way you gained it, only quicker! Learn the technical language used in the currency trading world. When reading informative forex news articles, there may be terms used that you do not understand. By keeping a glossary of commonly used forex terms at hand you will be able to quickly find out what the terms mean and the greater your understanding of the news articles will be. Just like with many other situations in life, if you are trading with Forex, it is important to try to stay calm. By stressing your self out, you may not make wise decisions and you could end up losing a lot of money. Also, try not to be too greedy. Pay attention to any potential factor that could negatively or positively influence currencies on Forex. You will need to look at economic data, news releases, various policy decisions, and other political events across the globe if you want to stay out ahead of the curve in the Foreign Exchange Market. If you take a risk and put fifty percent of your entire trading account on the line and you lose, you will have to earn a 100% return in order to make up for those losses. Keep your risks at a level that makes it a bit easier to make up the losses in the end. Most experts recommend risking no more than 2% of your trading capital on any one trade! Because Forex trading can be done with countries around the world, keep in mind that it is possible for you to trade at any time, even in the middle of the night. This is important for people who are too busy to do Forex trading during the day because of other commitments. Like most forex traders I have always believed, at least on a passive basis, that our psychology or thought process does play a fairly large role in whether or not we are successful on a long term basis. You hear it over and over again that “you need the right psychology in order to be successful at trading”. But what does this really mean? To be honest I have never really taken the time or put forth sufficient effort to investigate this whole trading psychology business, or how one should possibly change their thinking in order to improve their trading results. Yes I know that having a sound trading plan, discipline, patience and proper money management are essential. But what I am talking about goes way beyond these principles. Can our actual thought processes, or the way we think mean the difference between attaining success in the forex markets, or joining the ranks of the other 95% who fail? Another good question; are successful traders born with the proper thought processes or is this something that can this be learned? Are we stuck with the thought processes that are hard wired into or brains, and ingrained in us by all the conditioning we have absorbed since childhood, or can we learn to change these thought processes so that they are conducive to success as a trader? I think these are all compelling questions, and any aspiring forex trader would do well to give them some serious thought. As forex traders we are always so wrapped up in whether our forex system or method is going to lead us to our trading goals. But I don’t think most of us ever really stop to think that maybe our trading system or method actually has very little to do with our level of success. For example, many aspiring traders endlessly jump from one system to the next because that “holy grail” forex system is just around the corner. The sad reality is that most will never find success because they are looking for something that doesn’t exist and the key is really between our ears, our thought process. I recently finished reading a book called “Trading in the Zone” by the well known author Mark Douglas, and I must say it really took the blinders off for me to a certain degree. In the book Mr. Douglas explains in a clear manner how 99% of us, come to trading with thought processes that are almost certain to ensure we will fail. It isn’t our fault. These same thought processes work very well for us in everyday life, and have essentially been engrained in us from an early age. But when it comes to the reality of trading, these same thought processes actually cause us to sabotage ourselves. Until we can really identify this problem and learn to train our minds, we can have the best trading system or method in the world, but we will likely not be successful long term. Mr. Douglas essentially comes from the premise that trading offers unlimited and complete freedom for creativity and freedom of choice. There is unlimited potential for profit and unlimited potential for loss. The markets offer limitless and endless choices. Our brains are not wired or accustomed to operating in a realm where there are no bounds, constraints or rules. And this is why most ultimately fail. If you really want to better understand how your thought process may be holding you back from reaching your forex trading goals then I would highly recommend giving the book “Trading in the Zone” by Mark Douglas a read. While the proper thought process or psychology is essential, having a sound trading plan that will provide you with a statistical edge over the long term is also necessary. I believe that Price Action trading is something that can provide that edge. If Price Action Forex Trading is something that appeals to you I would highly recommend checking out DNB Forex Price Action Membership. I have been a member of the DNB Price Action War Room for quite some time now and I can honestly say if you are serious about trading forex, the low one time membership fee is totally worth it. To check out my recent review blog post on the DNB Forex Price Action Membership Click Here. Does the Fibonacci Indicator have Merit? Today I would like to talk a little about the Fibonacci indicator. For those of you who are not familiar with Fibonacci, he was a mathematician from the 13th century who helped come up with a mathematical principal that there are is a pattern or sequence of numbers that tend to repeat themselves and that this pattern or sequence tends to repeat itself everywhere we look in nature. The theory with Fibonacci sequences as they relate to trading or specifically Forex Trading is that by using Fibonacci numbers traders can potentially predict how far a trend will retrace before the trend resumes and continues on its way, and also how far a trend may potentially run before it is exhausted. Assuming there is merit to this theory wouldn’t you agree that this would be very very valuable information for a trader? Now to be honest I have taken a look at Fibonacci a few times over the last 6 or 7 years and I have been rather dismissive. The problems I always had with Fibonacci is that I found it too subjective and honestly too confusing to be of any value. I always found myself struggling where where to draw and plot the Fibonacci retracement and extension tools. Eventually I would give up and continue with other things. Recently I have given Fibonacci another look and I am really glad I did. A little while back I came across the website www.fxknight.com which is run by a very well known Forex Trader named Andrei Knight. I spent some time going through Mr. Knight’s free webinars and tutorials on how he uses Fibonacci to trade and I must say I was blown away. As I was going through his tutorials and actually plotting the Fibonacci tool on my charts it was scary how often price would come to the levels plotted by the Fibonacci tool and either bounce from these levels as resistance or support, or go through the level and come back to retest them as new resistance or support. Lets look at an example of how this works on the EurUsd Daily Chart below. The EurUsd currency pair has been on a nice consistent uptrend the last few months. Could Fibonacci be used to predict how far this trend may go or at what levels along the way may act as support or resistance? Well you be the judge. You will notice the letters A, B, C, and D drawn in Red. 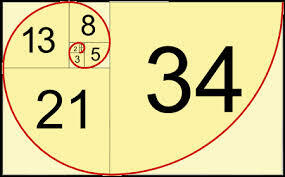 The idea behind using Fibonacci is you look for the start of a trend which is A. Then you look for the first major reversal or correction in the trend, which is Point B. These are the only two points you need to worry about and plot on your chart. The theory goes that statistically price will most often retrace to the 38.2, 50.0, or 61.8 level before the trend then resumes. You will notice on the EurUsd chart above price retraced to the 50.0 level almost to the pip before the trend continued on its way. Now take a close look at all the other Fib level drawn by the tool. Do you notice how price would react with those levels almost to the pip on most occasions? This really amazed me and caught my attention. Now you are probably asking how can I use this to predict how far the trend will run before exhausting. Well according to Mr. Knight and other proponents of Fibonacci here is how it works. If price retraces to the 38.2 level before continuing on its way, price will most likely make it all the way to the 138.2 level before exhausting and turning around. If price retraces to the 50.0 level before continuing on its way, price will most likely make it all the way to the 161.8 level before exhausting and turning around. If price retraces to the 61.8 level before continuing on its way, price will also most likely make it all the way to the 161.8 level before exhausting and turning around. I would encourage you to go ahead and start plotting some fibonacci’s on your own charts and back test this theory. I suspect you may be quite impressed and surprised at how accurate this theory really is. Now at this point you are also probably also asking “how did he get his fibonacci tool to draw the retrace lines and the extension lines all at once like that?”. Well that is a very good question. If you are using the metatrader default Fibonacci indicator tools there is one for the retrace and one for the extension but it does not have both combined as it is showing on my chart above. On Mr. Knight’s website he provides a pdf with step by step instructions how to very easily change the setting on your MT4 Fib tool so that it can be used like this. Here is the link to his pdf instructions: click here. If this post was of interest to you I would highly recommend that you check out www.fxknight.com. He has a ton of free Fibonacci webinars and information to help you navagate your way through this. The other thing I like about Fibonacci is that it works very well with the price action principles that I usually use in my trading. Also please remember the information on this blog is for educational purposes only and not to be taken as trading advice. Hello all, first off I have to apologize for the long gap in time since my last blog post. I have been very busy with moving and many other things over the summer and as a result my blog has been somewhat neglected. Now that the summer is over and the big money movers are back from their summer vacations and back in the market things are rolling again. In today’s post I would just like to walk you through a recent example of a very nice forex price action trade which occurred on the GbpUsd Daily chart. As you can see from the chart above GbpUsd has generally been in an uptrend over the last couple of months. Personally I generally only stick to trade signals in the direction of the trend as there is less risk involved. There is a fairly key support zone at the 1.5400 level that price retraced to on August 28, 2013. When we have a retrace to a recent support level in an uptrend we want to be on high alert for a possible trade opportunity. The GbpUsd provided us with such an opportunity. As you can see from the chart a very prominent bullish pin bar developed off of this support level telling us that the support level was likely going to hold and the bears may be losing steam. The pin bar is one of the key price action signals that indicates price may be about to change direction. The pin bar occurring at a strong level of support or resistance which also occurs in the direction of the trend is a very powerful setup. Generally there are two ways you can enter these types of trades. The conservative approach is to wait for price to break the top of the pin bar which confirms that the bulls are back in control and price is on its way up. Waiting for price to break the nose of the pin lowers the risk factor somewhat but the tradeoff is that your risk vs. reward on the trade will be lower. The more aggressive approach is to enter at approximately the 50% retrace level on the pin bar. In the example above the entry long would have been at about the 1.5500 level. This is how I chose to enter the trade. Sometimes price will not retrace at all and will just shoot upward and those waiting for a retrace to enter will miss out on the trade. As you can see above price has been climbing higher quite nicely over the last 5 or 6 days. I have marked two key levels of resistance on the chart. It is wise to mark out these levels even before you enter the trade because you need to plan exactly how you are going to manage the trade ahead of time. As price reaches these resistance levels it will likely stall or could even reverse on us. One technique to lower risk is to move your stop to break even as price approaches the 1st resistance level and even take some of your profit. That way you have taken some profit and now are in a risk free trade. Now I have to be completely honest here. I did not stick to my trading plan and let price do its thing. When the two consecutive bearish pin bars formed on September 2nd and 3rd closed out my entire position with a small profit. I took the two bearish pin bars as a signal that price may reverse on me so I got out. It is important to plan your trade prior to entering the market and have the discipline to stick to your trading plan. Had I stuck to my trading plan I would have closed out half my position with more profit, and been in a risk free trade approaching my second take profit level of 1.5700. If Price Action trading is something that appeals to you I would highly recommend checking out DNB Forex Price Action Membership. I have been a member of the DNB Price Action War Room for quite some time now and I can honestly say if you are serious about trading forex, the low one time membership fee is totally worth it. More and more individuals are taking a look and dabbling with forex trading these days. Often lured in by the promise of quick and easy returns with minimal work on their part. The reality is that most new traders eventually blow an account or two before realizing that forex trading is not a short cut to easy money. Having said that there are a few simple principles that can greatly improve your chances of success in becoming successful in the forex market and achieving your trading goals. As is the case with most things in life, you need to put the initial time and work into developing your craft. But just as important you need to have confidence in yourself to put your education and well thought out trading plan into action. 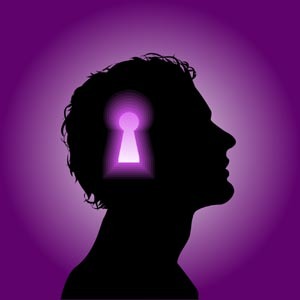 90% of Forex Trading comes down to psychology and not second guessing yourself part way through a trade. As long as you have taken the time to formulate a sound trading plan and execute that trading plan, for the most part the decision making is done by the time you enter a trade and you need to have confidence in yourself and your trading decision. Many a trader have closed out a trade with a small loss only to have the trade continue on in the predicted direction and reaching their original take profit level. 2. Be prepared to invest the time and have losing trades. You will have losing trades in Forex period. Anyone who tells you otherwise is lying to you and likely trying to sell you something. This is why it is important to educate yourself, and perfect your trading plan on a demo account until you have built up the confidence to move to a live, real money account. This is what is so great about Forex, you can actually trade to your heart’s content without risking a penny of your own money. Almost every broker out there provides a demo account to practice on, so you really need to take advantage of this. Now there are some psychological differences between trading demo money and trading with real money which will not be encountered until you shift over to a real money account. Again it is important to ease your way into this. Once you have been making consistent and steady profits for at least a few months on a demo account, and feel you are ready to put real money on the line, why not open a micro account. Many brokers will allow you to open an account with as little as $250.00 and trade micro lots. This will expose you to the psychological factors associated with trading real money without risking the farm. 3. What type of trader are you? There are about as many ways to trade forex as there are people trading the forex market. Some traders seem to need constant action, others are very patient and deliberate in their trading. Eventually you will need to develop a trading style that fits your personality. Again you will take this self discovery journey on a demo account, leaving your real money intact until you are truly ready for live trading. There is an old saying that “if it sounds too good to be true it probably is”. Many vendors selling forex software or products play on your emotions by making promises of forex riches with little or no work on your part. Forex is like anything else in life, you get out what you put in. Do yourself a favour if you plan to take forex trading seriously and take the time to educate yourself on forex trading strategies. There are a few really great mentors out there, that will provide you with a real education at a very reasonable cost. I will discuss this a bit more at the end of this article. Many new forex traders stumble across a particular trading strategy, try it out for a while, don’t have instant success, and move on to the next “holy grail”. People can go through this cycle for years, moving from one forex system to the next. Now assuming you have come across a legitimate forex system, strategy or plan, and not some push button garbage software, it is still going to take time. As previously mentioned forex trading is more about the trader then even the strategy itself. A very sound and potentially profitable trading strategy will still not provide profitable results for a trader if that trader has not taken the time to make it their own. This takes time, and one should demo trade, demo trade and demo trade some more. Money management is another key element for success. Risking too much on a single trade, and proper stop loss placement are essential to long term profitability. So before you give up on your current trading strategy, and move on to the next “shiny” new system, ask yourself if you have really taken the time to make the system your own and work on yourself as a trader. If your looking for a great forex mentor, and a place to begin a sound forex education I would strongly suggest checking out the DNB Forex Price Action War Room. The DNB membership provides a very thorough and complete trading guide (Price Action Protocol), chart of the day analysis, weekly market analysis, an interactive and highly educational chat forum, and much more. I have previously posted a review of the DNB forex price action membership on my blog which you can check out by clicking here. You can also check out the DNB Forex Price Action Course directly for yourself by clicking here. Hello everyone how was your weekend? Well its another Sunday and time for another quick chart analysis. Today I will be discussing the USDJPY currency pair with reference to the daily chart below. Since about October, 2012 this Yen pair has been steadily trending higher, however there has been a fairly serious 600 pip correction over the last 3 weeks to the 97.00 support level. As you can see a very prominent bullish pin par at this support zone. Now some extra caution should be afforded to this potential signal for a couple reasons. Firstly it occurred on a Friday. Many traders who were short last week may have decided to take profit before the close of the trading week which could account for the pin bar formation. Secondly, when the market opened up again about an hour ago we notice that price has gapped up above the pin bar. I was hoping that price would have gapped down toward the centre of the pin bar giving a better entry point and a better risk to reward on the potential trade. Having said that the pin bar is very prominent and I will be paying attention to price over the next little while to see if price retraces to provide a tradeable entry point. We’ll that does it for this post, and if you enjoy this blog please comment, share, like and join our newsletter! Disclaimer: This blog post is meant for informational purposes only and is not to be taken as trading adivice. Hello all I hope you are having a great weekend. I just wanted to provide a review of a brand new forex price action membership program that I have recently joined. It is called DNB Forex Price Action War Room. For any of you who have been reading my blog know that I am a big fan of forex price action methods, especially trading from the larger time frames such as the Daily, 8 hour and 4 hour charts. DNB Price Action War Room it is an instructional forex price action membership program that specializes in teaching forex price action methods from the daily charts so naturally it got my attention and I joined. The lifetime membership is very reasonably priced at $147 when you consider the value provided with the membership. Within his DNB Price Action War Room the first gem Mr. Blackmore provides is the 30 module Price Action Protocol trading manual. In my opinion the Price Action Protocol trading manual will provide everything you need to become profitable forex trader, provided you are disciplined and have good money management. But the membership goes way beyond the price action instructional manual, and it is these extras that actually influenced me to join. Mr. Blackmore provides a daily “Chart of the Day” analysis of the most promising price action set up. Once a week (usually on Saturdays) he also provides a 25 – 30 min Market Commentary video in which he provides his price action analysis for the major pairs. This analysis allows you to get ready for the trading week ahead and lets you inside his head with respect to market analysis and what he is looking for in potential trade setups. Below is a snippet of one of the Price Action War Room weekly commentary. In addition to all these great teaching tools there is also a forum which allows all members to discuss potential trade setups. I truly believe that this interactive participation is the only way to truly improve your skills as a trader. As a bit of an update Mr. Blackmore has now added some additional valuable content and instruction to his War Room membership. He has added the “Price Action Experimental Lab” which has additional instruction on trading using the 4 hour charts, entitled the “4 hour trading strategy”. Within this section he has also added a section entitled “The Power Candle”. These power candles frequently show up on our daily and 4 hour charts. Mr. Blackmore provides a great explanation of what the “Power Candle” is and how to best trade them. For any of you who are truly interested in learning more about price action trading I would take a serious look at the DNB Forex membership by clicking here: DNB Price Action War Room. In my opinion it is one of the best forex trading membership courses out there, and provides great value for the one time membership fee! Well that about it for now but if you enjoyed this post please comment, share and like! Hello all I hope you are having a relaxing and restful weekend. I was looking at my charts this evening and just wanted to throw up a quick post regarding the AudCad currency pair on the daily chart. As you can see on the chart below the AudCad has been in a fairly strong down move for about a month now. I think it is safe to say the current trend is down so personally I would only be looking to short this pair until there is a clear indication that the trend has reversed. You will also see on my chart below that I have marked the level around 1.0421 as a key level. This level has acted as both resistance and support in the past. So I will be watching this pair closely as it approaches this resistance level in the upcoming days. Assuming price actually continues higher and reaches this resistance zone I will be looking for some clues that price may provide as to whether this pair is continue up and break past this level, or whether the bulls will have lost steam and price will continue back down with the trend. These clues are based on price action and may include pin bars, dojis, a bearinsh engulfing bar, or price may just possibly consolidate for a while around this zone. It will be interesting to see what happens with this pair over the next few days and I will do my best to do a follow up post if a trade signal materializes for us! Receive free forex strategies, ebooks, and tips to take your forex trading to the next level! U.S Elections and Your Forex Trading Plan.